Diego had his first theater experience and he enjoyed it. 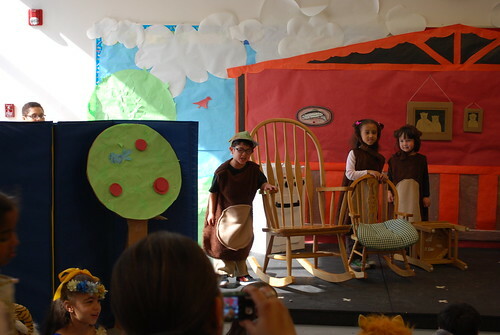 The Pre-K classrooms at his school had a musical: Goldilocks and the Three Bears. He was the Papa Bear and his line was “Who has been sitting and wiggling in my great big chair?” He was just so adorable! He was very determined to say his line just right and he did. There were three classrooms participating and just the kids who are going to kindergarden had the speaking parts. And to be fair, there were three kids for each line in the play.